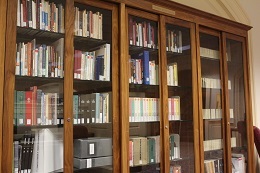 To browse the collection, type in the words, "Pentecostal Research Collection" as a title search in the Library Catalog. With the title search results in view your search can be refined by author or subject using the "Limit/Sort" button/icon at the top of the results screen. The Pentecostal Research Collection had its inception with the purchase of a private collection from Rev. Talmadge McNabb, a retired military chaplain of New Lisbon, New Jersey, in 1997. The collection comprises approximately 1,500 items including monographs, directories, pamphlets, and some periodicals. Authors of particular note include A.A. Allen, Alma White, T.L. Osborn, Demos Shakarian, and William Branham. 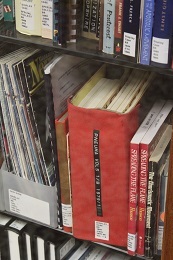 The collection is located on the first floor of the library near the circulation desk; some of the more fragile materials are shelved in the Special Collections & Archives vault on the second floor of the library. Holdings include William Branham sermons from 1955 to 1965 on audiocassette, Kathryn Kuhlman radio messages from 1963 to 1967, a complete set of the publications of T. L. and Daisy Osborne, papers of School of Divinity professor Dr. J. Rodman Williams, and the complete works of Evangelist A. A. Allen.